Hier geht’s zur deutschen Version dieses Posts. 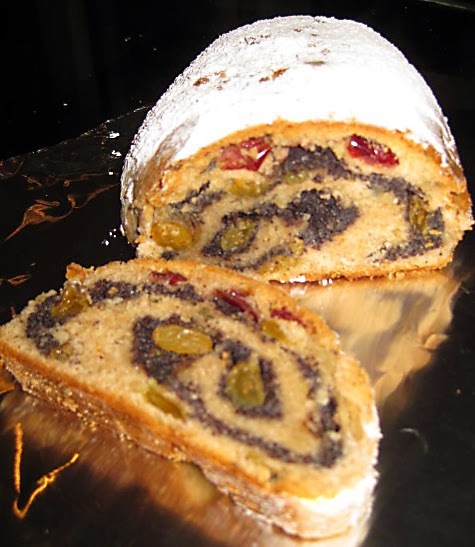 With Christmas looming ahead, I wanted to bake Mohnstollen – German Poppy Seed Stollen. I looked up numerous recipes in my German cookbooks and the internet. Most of them listed “Mohnback” as necessary ingredient, a ready made poppy seed filling you find in every decent German supermarket. Lucky Germans don’t need to know what it’s being made of, but what shall a poor expat do in a Mohnback-less foreign country? Oh, Dr. Oetker, you didn’t only help stressed housewives by inventing the single-packaged baking powder, you also concocted Mohnback in your factory kitchens – why do you flood the US market with brownie mixes instead of poppy seed filling? Americans can do brownies just fine, without German aid, but where is the mysterious Mohnback? Finally Google, helper of the clueless, linked me with a Mohnback recipe. 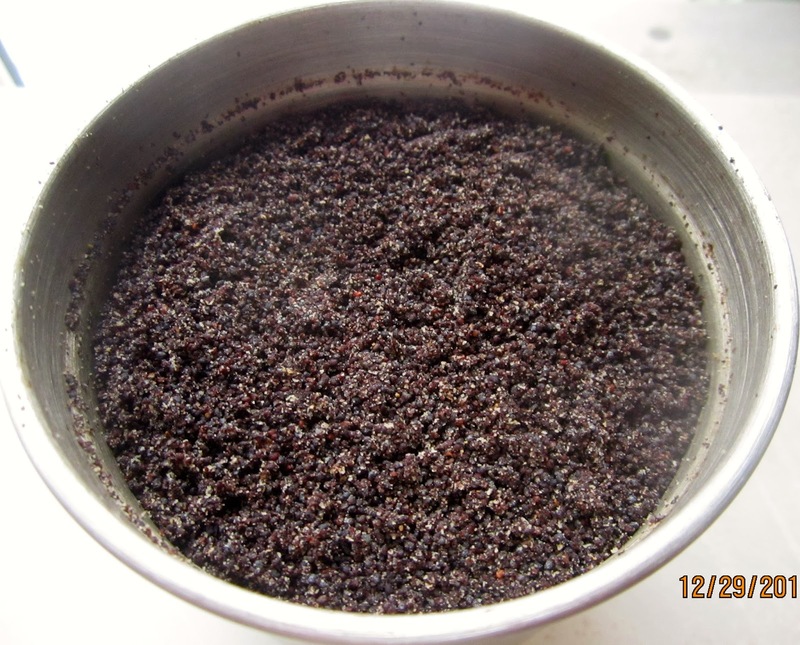 It was surprisingly uncomplicated, I only had to grind the poppy seeds, but my coffee grinder made short work of it. In a medium saucepan, bring milk to a boil. Stir in semolina. Remove from heat, and add all other ingredients. Mix well. In a container with lid, the poppy seed filling keeps in the fridge for a week. Oh Karin I loved the whole Dr. Oetker thing! I copied the filling because it's thicker than the one I used for my poppy seeds swirls and it looks really good! Thank you and have a lovely Sunday.